If the laid-back feeling of this holiday week had somehow made my family oblivious to the fact that today is New Year's Eve, my recent burst of activity around the house certainly would have tipped them off. Over the past twenty-four hours, I've felt the urge to tidy things up, to reorganize, to freshen things up in our various corners; I've been flipping mattresses and making beds with fresh sheets, cleaning out fridges and restocking them with fresh foods. There's no need, really, to do any of these things right now, but the physical actions seem to satisfy a psychological drive in me on the cusp of a new year -- it feels especially good today to take stock and to make space. 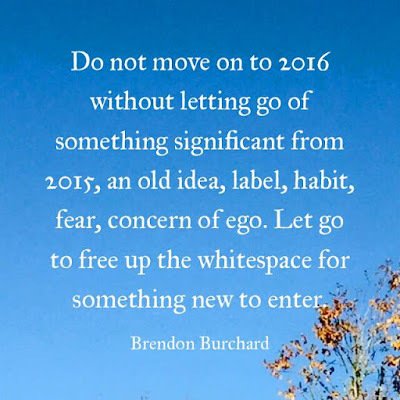 I came across this quotation in my social media surfing this week, and appreciated the encouragement to tend to our minds and hearts as we ring in a new year, much in the same way I've been tending to the physical things around home. It makes sense to me that we are better prepared to welcome new experiences and awareness if we're willing to leave a part of ourselves open and free. What a wonderful way to approach a new year. I've spent some time over these past few days thinking back through the joys and heartaches, the accomplishments and the challenges of 2015, glad for having documented them here throughout the year so I can remember more clearly the little details and the way I felt when I was living them. We welcomed kittens to our family, dealt with washing machine woes, made lasting memories in our favourite summer spot, and created a new way to enjoy chocolate. (Mmmm, chocolate.) We found tangible proof of how hard it is to keep up with Will, and proudly watched Noah grow through one of his busiest, most interesting years to date. I made a commitment to myself to focus more on something that makes me happy. I travelled old familiar roads that led me to a poignant revisiting of my younger self, and to a beautiful place to say a final goodbye. I'm grateful for all of these experiences, cheerful and sad, for the rich meaning and understanding they've brought to my life. I also truly appreciate all of you, who have been here with me as you've read my stories and shared your own experiences, your encouragement and support. Some friends and I were recently discussing the practice of choosing a personally meaningful word for the year ahead, rather than coming up with a specific New Year's resolution. I like the idea of cultivating a mindset that can be applied to a wide variety of situations; having a word to live by seems to me to offer more opportunities for success. Several words have seemed good possibilities as I've thought about which one might suit me best for 2016, but in the end I've decided on stretch. I don't mean in a physical sense (although that feels good, too, and I really should get back to practising yoga in the new year! ), but I'd like to stretch my inner self beyond the artificial limits I may have set in place through unhelpful thought patterns or behaviours. It becomes easy, I think, in one's forties, to settle a little too firmly into comfortable routines and beliefs. I want to reach beyond what feels convenient and familiar, to find what new possibilities and happy surprises might lie there. What word will you choose for the year just ahead of us? 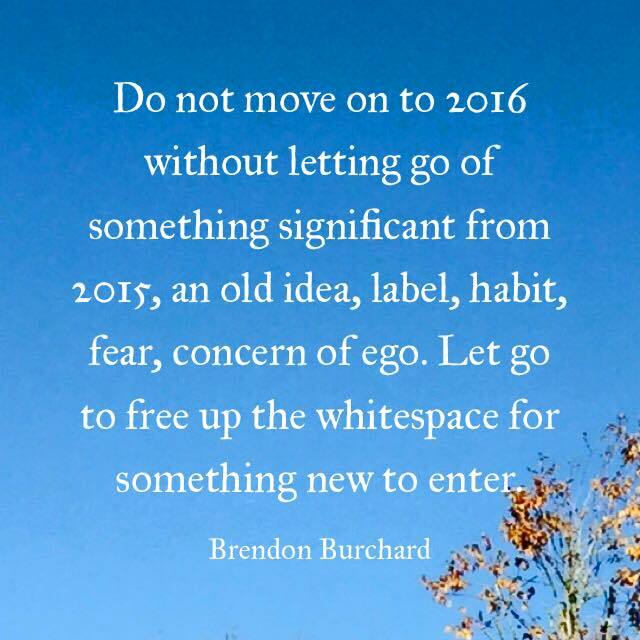 I hope you'll be open to hope, joy, love, and peace in 2016. Wishing you all a very happy and healthy new year!